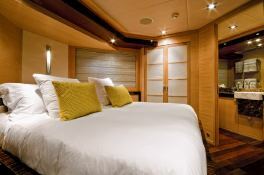 Vanquish is a superb 120ft Palmer Johnson which can accommodate up to 8 guests in 3 double cabins and 1 lounge/ cinema room which can be converted into 2 singles. 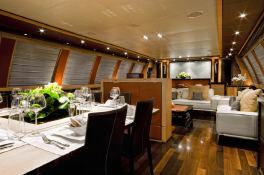 Her light and airy interior with its quality wooden finish is elegant and inviting. 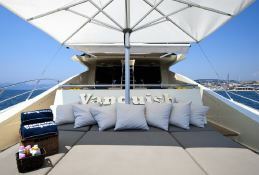 Vanquish was recently repainted in ivory with a accent of dark blue which really brings out the fabulous contours of this excellent yacht, and her innovative design offers unrivaled private spaces. 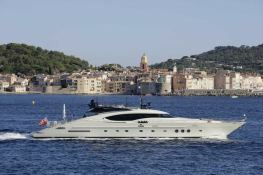 Vanquish can reach a maximum speed of 30 knots. 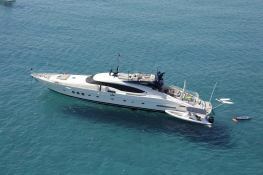 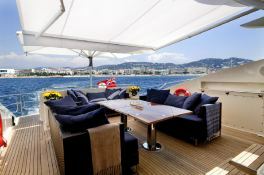 This Vanquish is available for yacht charter with a base price of 101 500 € (approximatly 114 467 $).